Al-Qa’ida is an Islamist extremist organization founded in 1988 by Usama bin Ladin and other Arab foreign fighters who fought against the Soviet Union in Afghanistan in the 1980s. Following the Soviet withdrawal from Afghanistan, al-Qa’ida fought to remove the US military presence from the Middle East, particularly Saudi Arabia. In 1996, bin Ladin declared war on the United States because of its occupation in the Gulf region. On September 11, 2001, al-Qa’ida hijacked and crashed four US commercial jets—two into the World Trade Center in New York City, one into the Pentagon, and a fourth into a field in Shanksville, Pennsylvania—killing nearly 3,000. After the attacks, al-Qa’ida expanded and established affiliates primarily across the Middle East and South Asia. On at least three occasions in 2018, al-Qa’ida leader Ayman al-Zawahiri specifically called for attacks on the United States and its interests. He commemorated the 17th anniversary of the 9/11 attacks in a speech in September, and he made remarks threatening the United States and praising the 9/11 attacks in December. Overall, Zawahiri made 10 speeches in 2018, calling for unity among Muslims worldwide after decades of fragmentation, presumably referring to ISIS and its failure to maintain a caliphate. 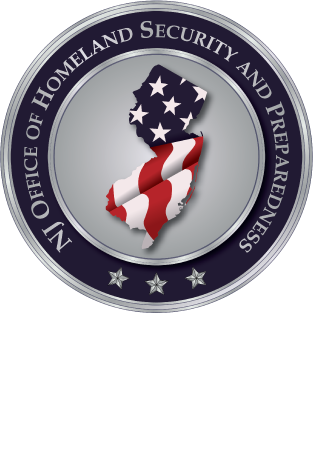 The journal of homegrown violent extremist Ahmad Rahimi—found after a series of bombings in Seaside Park (Ocean County), Elizabeth (Union County), and New York in September 2016—referenced notable al-Qa’ida figures, including bin Ladin and Anwar al-Aulaqi. The last al-Qa’ida-inspired plot in New Jersey was in 2007, when six individuals, known as the Fort Dix Six, plotted to attack Joint Base McGuire-Dix-Lakehurst in Burlington County. In February 2018, federal authorities arrested a Saudi citizen, Naif Abdulaziz Alfallaj, for lying to federal agents and on two counts of visa fraud in Oklahoma after they discovered his fingerprints when attempting to take private flying lessons in 2016. As a teenager, Alfallaj attempted to join the Al Farouq training camp in Afghanistan, where four of the 9/11 hijackers also trained. In October, authorities charged Alaa Mohd Abusaad of Alabama with attempting to provide material support to al-Qa’ida. According to the criminal complaint, Abusaad coordinated with a known al-Qa’ida “financial facilitator” and instructed an undercover FBI agent on how to send money to fighters working with al-Qa’ida through the facilitator to avoid detection. In July, federal authorities arrested Demetrius Pitts for plotting a terror attack at a July 4 celebration in Downtown Cleveland and charged him with attempting to provide material support to al-Qa’ida. The FBI said Pitts used social media to espouse his desire to join al-Qa’ida and recruit individuals to kill Americans, including US military members, since 2015 under the name Abdur Raheem Rafeeq. Additionally, Pitts pledged allegiance to al-Qa’ida in two videos.